To celebrate Canada’s 150th birthday, there’s free admission to national parks, historic sites and marine conservation areas all year! Why not visit a place that has all three? 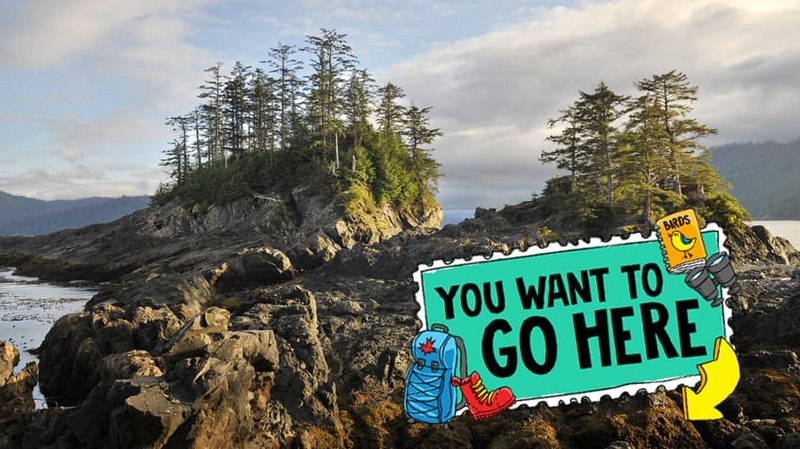 Check out Gwaii Haanas National Park Reserve, National Marine Conservation Area Reserve and Haida Heritage Site. Phew! That’s a big name, so most people just say Gwaii Haanas. The reason there’s so much to the name is because this spot has so much to see — there’s land, ocean and history all in one amazing place! About 100 kilometres off the coast of northern British Columbia is a string of islands called Haida Gwaii. Gwaii Haanas is in the southern part and has more than 1,800 tiny islands. 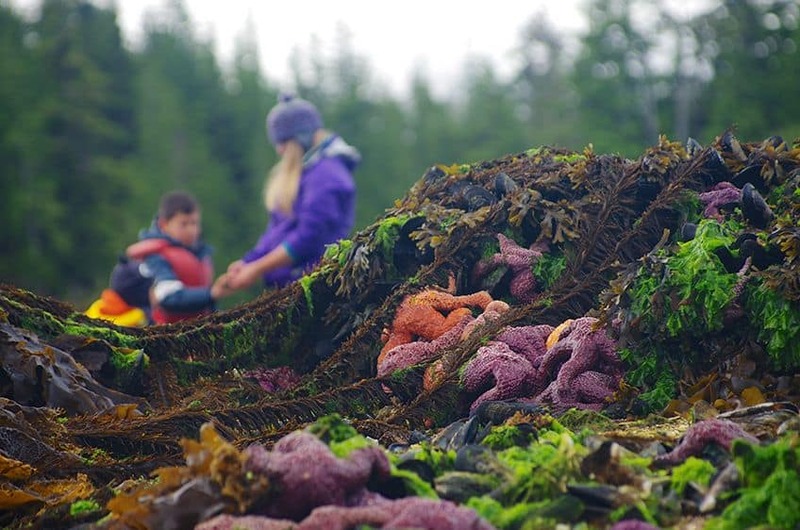 The name Gwaii Haanas actually means “islands of beauty” in the Haida language. 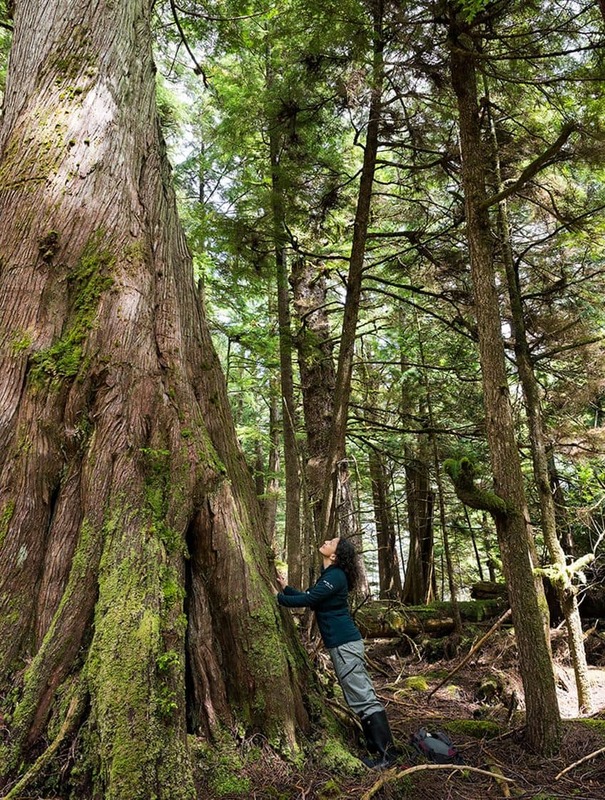 The Haida are the First Nations people who live in Haida Gwaii and they run the park, marine conservation site and heritage site with Parks Canada. 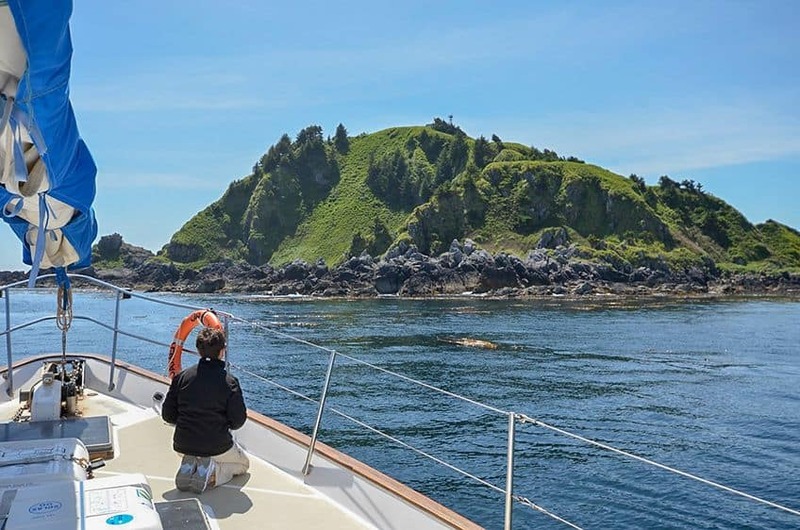 Getting to Gwaii Haanas means taking a boat or seaplane — there are no roads. But that’s okay, seeing it by water is the best way to experience all the scenery and amazing animals. The islands have mountains and rainforests, so are the perfect home for lots of different kinds of animals. Some species are unique to Gwaii Haanas and found nowhere else in the world! 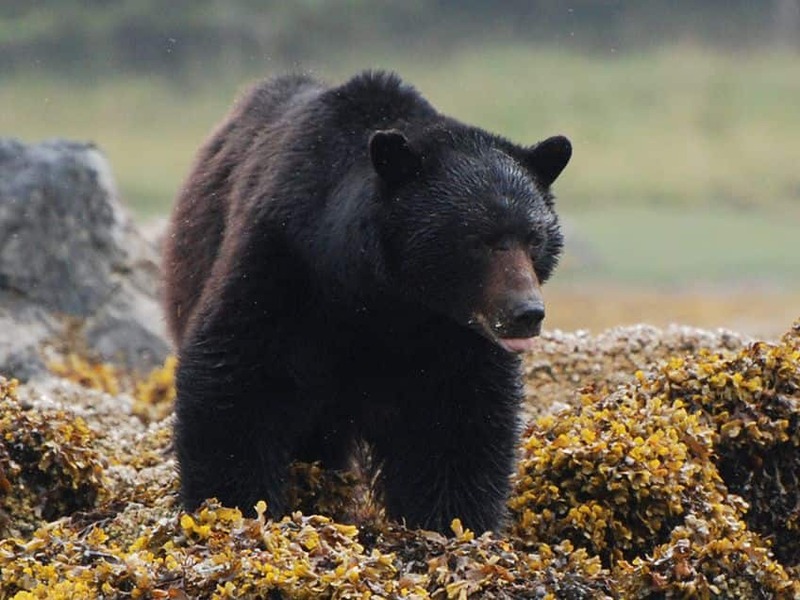 One of those is the Haida Gwaii black bear, known for its large size and love of salmon and crabs. There are also special kinds of ermine, dusky shrew and pine marten. The water holds even more to see. 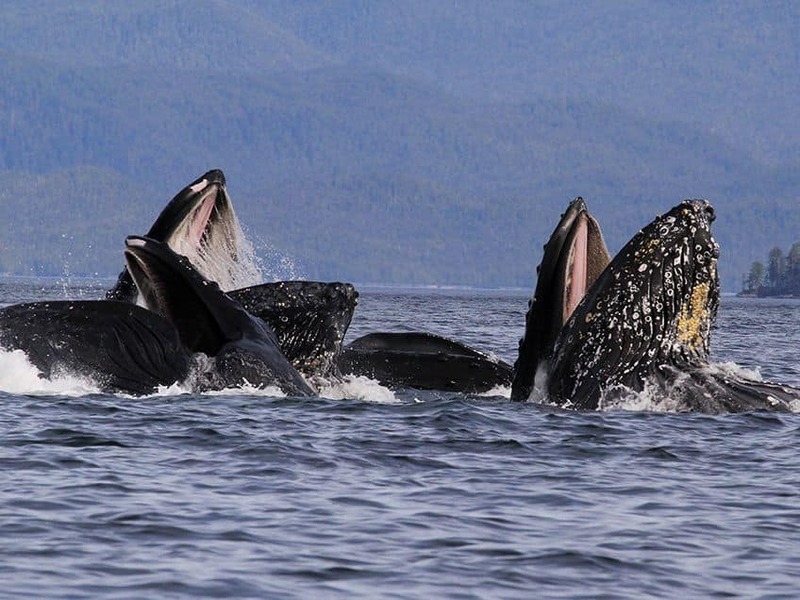 Humpback and grey whales travel through the area, while orca and minke whales are regular visitors. That’s along with dolphins, porpoises, harbour seals and sea lions! Under the water are huge kelp forests that provide food and shelter for lots of different kinds of fish. Birds also like to hang out in Gwaii Haanas, either migrating through or living there year round. 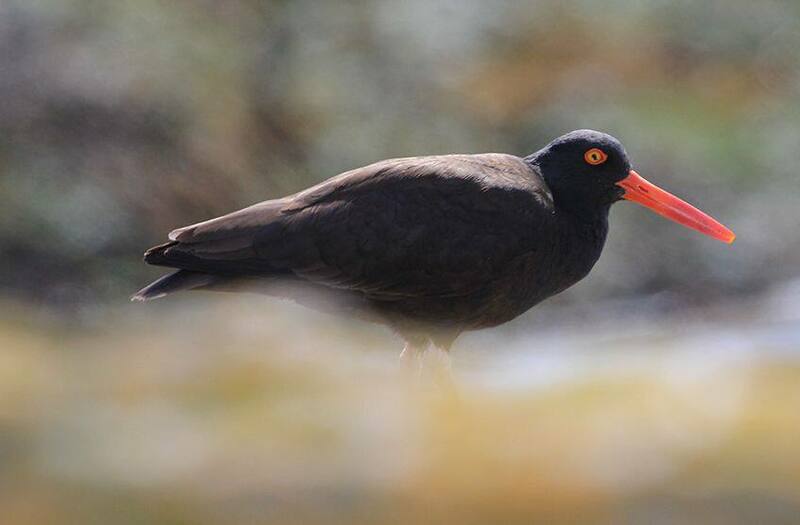 Bird-watchers love visiting and look for species like puffins, auklets, murrelets, eagles and hawks. There are even shearwaters, a seabird that flies in from as far away as New Zealand, as well as albatrosses, which can fly incredibly long distances. Gwaii Haanas is an important place to the Haida people. Haida men and women, known as Watchmen, look after five sacred island sites and welcome visitors. There you can learn about the people who lived in these villages and see 100-year-old longhouses and carved poles. 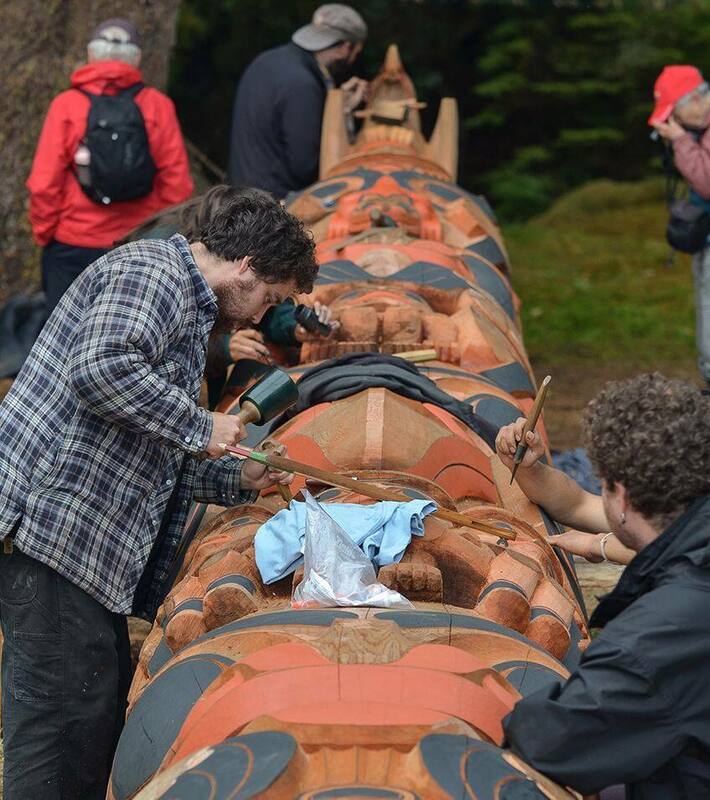 Make sure to see the 12 meter tall Legacy Pole on Lyell Island that was raised in 2013 to celebrate Gwaii Haanas! Other things to do and see! 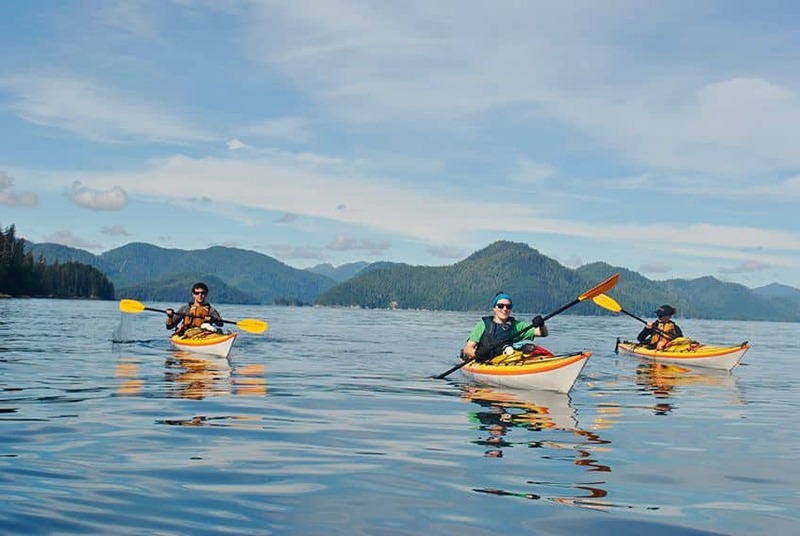 The best way to explore Gwaii Haanas is by water. There are boat and whale-watching tours. People also visit by sailboat and kayaking is a great way to get up close to the tiny islands. There aren’t any set campsites, but people will paddle up to a beach and set up a tent. Hiking here makes you feel like an explorer as there aren’t any trails among the trees (and some trees here are 1,000 years old!). There’s even a mountain to climb: Mount Yatza. It's 2,320 metres high!